Zipline Brewing Co + Open Harvest Beer & Cheese Pairing - Beer Hall - Zipline Brewing Co.
Let Zipline and Open Harvest Co-op Grocery take you on a culinary adventure. Craig Reier, Certified Cicerone and Monty Stoakes will guide you through a world of complimentary flavors. They will present you with five Zipline beers expertly paired with five artesian cheeses from Open Harvest. 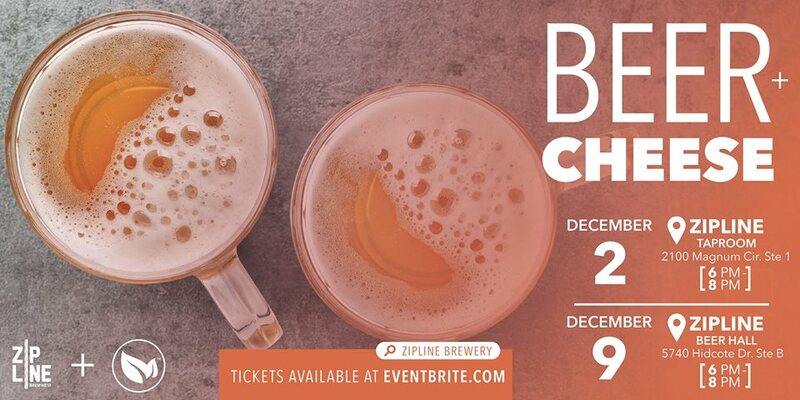 Get your tickets to day and surprise your guests this holiday with a beer and cheese paring at you place. Cheers!